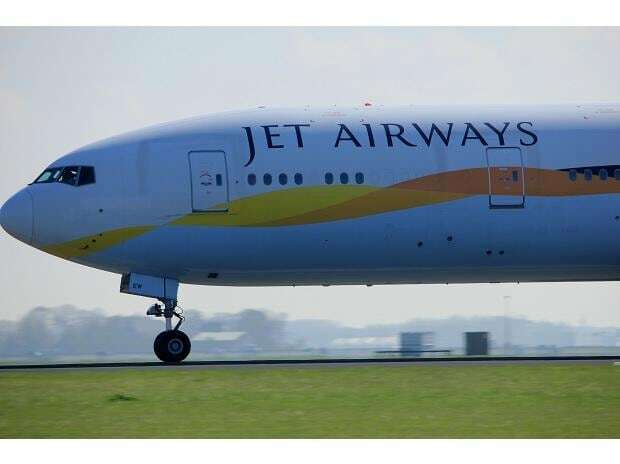 Delaying the Jet Airways stake sale process, lenders to the airline have extended the deadline for submission of expressions of interest (EoIs) by two days to April 12. At least two EoIs were received Wednesday evening, but the deadline was extended as some potential bidders sought more time, confirmed SBI Capital Markets Ltd, investment banker appointed for the deal. Abu Dhabi-based Etihad Airways is among the likely bidders asking for time, a source in the know said. The Jet Airways board is expected to meet on Thursday, a day ahead of the rescheduled EoI deadline, to take key management decisions. Earlier this week, lenders’ consortium led by State Bank of India (SBI) had invited EoIs offering a minimum 31.2 per cent stake in Jet Airways, setting April 10 as the deadline. Minutes before the deadline on Wednesday evening, SBI Capital Markets, the investment banking arm of the lender, deferred the EoI submission, hoping for better participation. Qualified bidders have to submit bids by April 30. The lenders also made a modification to the EoI document, allowing investors to infuse funds by way of purchase of 75 per cent stake or loans. A banking source said two to three EoIs were received but refused to divulge names as the validity of bids was being checked. Etihad Airways, which is likely to submit an EoI, already owns 24 per cent in Jet and an additional stake will give it a greater say in the airline. The move will also help it expand traffic between India-Abu Dhabi and beyond. Etihad did not comment. US-based private equity firm TPG, which had earlier looked at buying a stake in Jet's loyalty programme, was also in talks with the lenders for bidding. But clarity is yet to emerge on the outcome of the talks. The country’s first sovereign wealth fund National Investment and Infrastructure Fund (NIIF) is another contender. Jet's founder and former chairman Naresh Goyal, who stepped down last month as part of a resolution plan, too has been looking for investors. He held talks with the Delta-Air France-KLM combine but nothing came of it. Goyal, who owns 51 per cent in the airline, has pledged 31.2 per cent of his shareholding. According to reports, he has offered to pledge his entire stake to secure emergency funding for the airline. Till Wednesday evening, no funds were released, sources said as the airline stared at further disruptions due to grounding of planes and suspension of fuel supplies. The fuel supply was cut around 3 pm leading to grounding of operations till late into the evening. The lenders had earlier committed Rs 1,500 crore, but so far only around Rs 200 crore has been released.